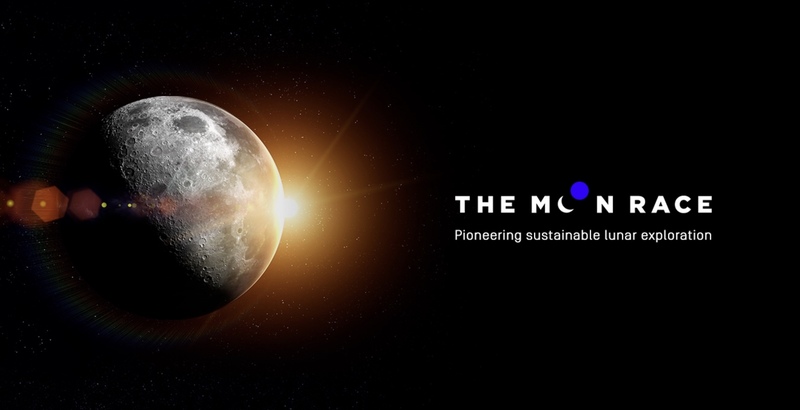 The Moon Race Competion (MRC) is a international competition pioneering sustainable lunar exploration, to support technology demonstrations up to the lunar surface. Giving opportunities for innovation and entrepreneurship in space business. Space and non-space partners are invited to join the movement..
Around 50 years after Neil Armstrong first set foot on the Moon (21th of July 1969 – 3:56 MEZ) institutions and industry players around the World are working on the preparation of new missions to the Moon. The Moon Race initiative aims to capitalise on these analogous ambitions. 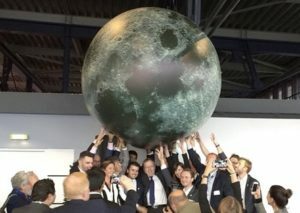 It seeks to boost the movement around Moon Exploration and enable the demonstration of key technologies required for sustainable lunar exploration. Its goal is to bring together a group of space and non-space partners from the Moon-bound community (and beyond) that will jointly award opportunities for technology demonstrations on the lunar surface to up to four candidates in order to foster global entrepreneurship. The Moon Race, initiated by Airbus Defence and Space, is supported by Letters of Intent from space and non-space players. For this purpose “The Moon Race NPO gGmbH” (MRG), a not-for- profit organization, has been created to manage “The Moon Race” global competition (MRC), and is inviting other partners to join the movement. The MRC announced during 69th International Astronautical Congress is a global competition targeting teams worldwide including start-ups and new ventures eager to bring their technologies to the Moon surface. The application period is scheduled to open early 2019. During the competition period, participants will need to achieve three intermediate milestones and can rely on in-kind support from MRG. In addition, at each milestone the top-performing teams per category will receive monetary and in-kind rewards, the details of which will be announced with the opening of the application period. The team’s performance, milestone achievements and distribution of monetary prizes to the participants will be evaluated by an independent team of experts nominated by the MRG partners. The MRG is a non-profit limited liability company based in Germany with the purpose to manage “The Moon Race” competition. Vorherige: Vorheriger Beitrag: Der erste Mondtourist steht fest!